The British public are in for a nasty surprise. Inflation is expected to quadruple to nearly 4% in less than a year, making everyday items much more expensive, according to a report by the National Institute of Economic and Social Research. 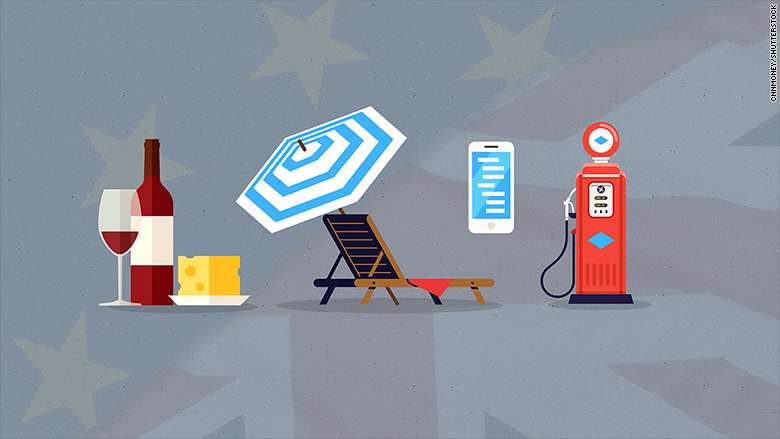 The independent British think tank forecasts that inflation will rise sharply and peak at 3.9% in the third quarter of 2017 as a result of a crash in the value of the pound triggered by the U.K.'s decision to leave the European Union. 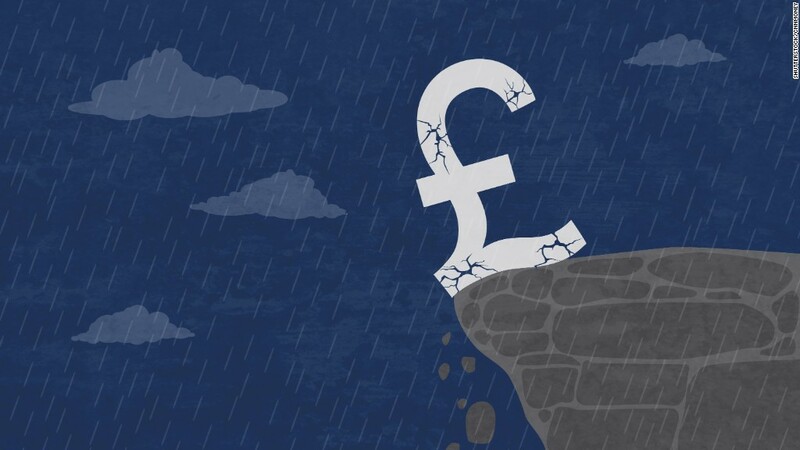 The currency fell as much as 20% versus the U.S. dollar, and 17% versus the euro, in the months after the Brexit vote in June, although it has steadied a bit in recent days. When the pound goes down, the cost of imports rises. That pushes up inflation. 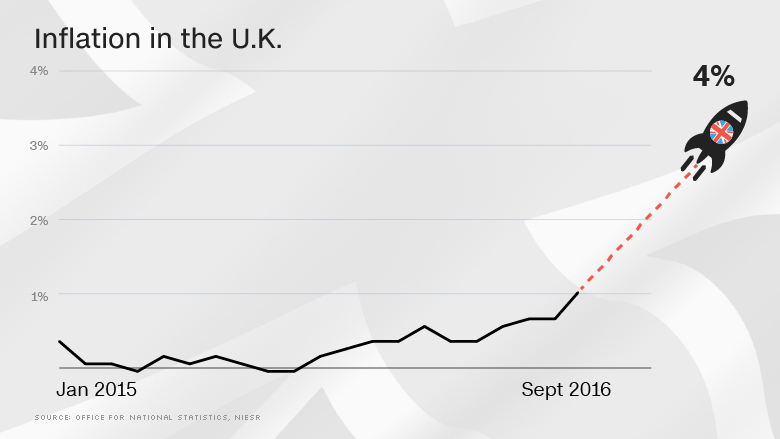 Simon Kirby, the author of the NIESR report, said the U.K. is heavily dependent on imported food, drinks and clothing, making these items the most likely to see big price jumps. That's bad for poorer households that generally spend a greater proportion of their income on food. They're likely to suffer most from a spike in inflation. Inflation in the U.K. is expected to soar in 2017 as a result of the drop in the pound. "While we expect this [jump in inflation] to be only a temporary phenomenon, it will nonetheless weigh on the purchasing power of consumers over the next couple of years," warned Kirby, who expects that wages will not rise as fast as inflation, meaning living standards will fall. Prices of food, wine, foreign holidays and gas are already rising. The expected jump in prices puts the Bank of England in a tight spot. It's primary goal is to keep inflation low -- the official target is 2% -- while supporting economic growth and employment. If inflation surges just as growth slows sharply (as many expect), the bank will face a difficult choice. Higher interest rates could support the pound and limit price rises, but would risk making the slowdown worse and hurting consumers by jacking up repayments on mortgages and other loans. NIESR expects the central bank will downplay the rise in inflation and leave interest rates unchanged for about two years, which is roughly how long it will take for the U.K. to negotiate its exit from the EU.